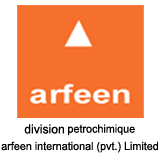 On 7th of May 2014 the Board of directors of Arfeen International (pvt) ltd. announced the appointment of Mr. Rizwan F. Arfeen as CEO, Division Petrochemique. Following is the announcement issued by the Chairman office. I am pleased to formally announce the appointment of Mr. Rizwan F. Arfeen as CEO, Division Petrochemique arfeen international (pvt) ltd., with effect from May 9, 2014. With a degree in Finance from USA and having served in various departments and companies of the group for over 25 years, he brings a rich and diversified experience to the organization. The board is confident that he will provide dynamic leadership to Division Petrochemique, to refocus on the core competencies of the organization and also to develop newer avenues for growth. For the past two years, working at DPQ as the COO designate, Rizwan has been actively working to consolidate the company’s position with all its stakeholders. Mr. Rizwan Arfeen will be taking over charge from Mr. Emran Khan who has so ably worked with the company for the past 4 decades and will be retiring as per company policy. The board would like to duly acknowledge the impeccable dedication and sincerity with which Mr. Emran Khan has lead the organization. A role model for his peers and colleagues alike. Mr. Emran Khan would henceforth have more time to enjoy his life and the fruits of his hard work. He will be associated with the company in an advisory role. Please join me in wishing Emran Khan and Rizwan Arfeen a happy and prosperous future.